No city in the world gets media attention as Dubai does and there are many good reasons for it. It offers tourists everything they can think of, all in a confine of a single city. From exotic islands to high rise buildings, amazing water parks to desert safari, the list goes on and on. Dubai never ceases to amaze both locals and tourists alike. That is the reason why millions of tourists visit Dubai every year. If Dubai is under your radar for your next holiday destination, then you might be planning and searching for the destination you may want to visit and activities you may want to undertake when you reach Dubai. You can easily find all that stuff with a single Google search. 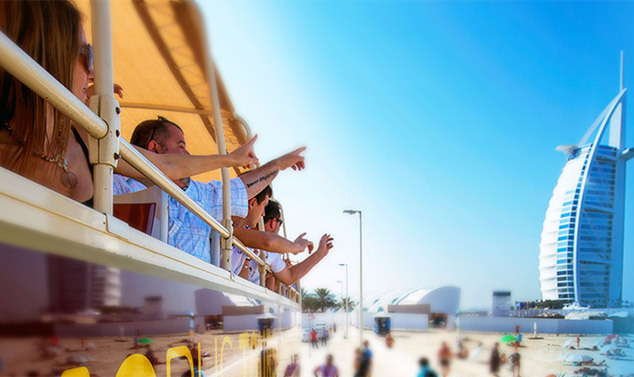 What if you want to enjoy your Dubai trip a little differently? What if you want to do things that no one else is doing in Dubai? That information is hard to find online. To help you make your trip memorable and unique at the same time, here are three not so common ways you can enjoy your Dubai trip. Yes, that’s not a typo. You can go fishing in Dubai. Dubai is famous for many things but none of them has anything to do with fishing. Is that what you are thinking? If yes, then you are right. In fact, that is the reason why fishing has made it to our list because we are discussing about not so common ways to enjoy your Dubai trip. If you love to catch fishes and eat them fresh then, Dubai is the right place for you. Go deep into the sea, set the trap, wait for a while and you catch some fish. There are many companies that offers you charter and cruise for fishing. You will be amazed with the variety of fishes Dubai and Abu Dhabi possesses. If you are lucky enough, you can catch enough fish to enjoy for the rest of the day. Coming straight from Hollywood and Bollywood movies, this idea is great for showing affection to your loved ones and make them feel special. Book or rent a Dhow cruise and make the evenings more romantic. If you can not afford to book a cruise, you can rent it for few hours, which will offer you the same experience, albeit at a much lower price point. Great sunset view, city view, friendly and supportive crew and tasty food makes up for great night that your loved one will not forget for the rest of her life. With so many cruise charter services out there, choosing the right one could be challenging. Compare prices and read reviews to get a better idea about their offerings. Ask questions such as whether the crew is professional or experienced enough to satisfy your needs? Answering these questions will take you one step closer to making the right choice. Most people will tell you that you should take a desert safari in Dubai in either a 4×4 or quad but that is exactly what everyone is doing. So, what you can do different in a desert? Have you ever through about spending a night in a desert? I can safely say that you might have answered this question in negative. As the scorching heat of the afternoon wears off, it gives way to pleasant evenings. As the night falls, desert cools down. Cool breeze starts to flow and makes it a great option to spend a night in the desert. If you are fond of camping then, you might love it. Star gazing fans will also love it as they will be able to see celestial body in its full glory. Put a tent in the middle of a desert and experience what others have been deprived of. People get bored of doing the same things again and again even if they like what they are doing and tourists are no exceptions. Dubai has a lot to offer other than the run of the mill stuff most tourists are familiar with. Doing these three things will help you see Dubai from a different lens and you will surely love it. If you know about any such activity in Dubai that most tourist never do, feel free to share it with us in the comments section below.